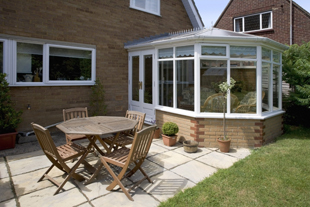 Looking to improve your home with a new conservatory? More than a simple home improvement, the addition of a new conservatory can be a cost effective way of enhancing your living space at home. At Windows 2000, we supply and fit all types of conservatories in a range of finishes, styles and colours to suit your individual requirements and budget. To find out more, contact us today. No matter what your style or budget, we can supply and fit a new conservatory to suit your needs. Whether you want a modern sunroom or a traditional Edwardian conservatory, contact us for advice and a free estimate. With countless happy and satisfied customers throughout Ripley, Mansfield, Chesterfield and Matlock, we are always pleased to provide customer references on request.